Land of the Pharaohs, Howard Hawks’ only attempt at an epic of ancient civilizations, figures in its author’s filmography as a film maudit. Defended at the time of its release by Cahiers du cinema (Rivette, Chabrol), it continues to intrigue Hawks’ admirers, who have always suspected that this bizarre deviation from our hero’s habitual concerns (a story extending over thirty years, instead of the usual fastidious "unities"; focus on a single powerful figure at the expense of the professional group, even more than in the anomalous Red River; flatly colloquial dialogue free of the pomposities of Hollywood epic speech-making, but also of any trace of humor; a tragic ending) must paradoxically contain the key to the art of this mysterious filmmaker. (Cf. Jean-Claude Biette in his eulogy for Hawks: "The greatness he achieved in filming the Relative kept him from occassionally running the risk of confronting the absolute. Nevertheless, he ran that risk once, in Land of the Pharaohs, an extraordinary film where the Relative admits its limits: the work leads, this time, to a gigantic apparatus of tombs." - reprinted in Poetique des auteurs). Or what amounts to the same thing, to his unconscious mind (Cf. Serge Daney’s psychoanalytic overview of the oeuvre, "Viellesse du meme" ["The One Grows Old", CdC 230, reprinted in La rampe], where pharaonic imagery abounds. So the existence of a book on the making of Land of the Pharaohs by Hawks’ second-unit director (Hollywood-sur-Nil, Publisher Ramsay Poche) raises hopes too high not to be dashed on a breathless first reading. First of all because Noel Howard’s book is written in the style of an old campaigner’s memoirs, by a craftsman for whom Land of the Pharaohs was a lark and an adventure (a view that happens to echo Hawks’ own recorded sentiments about filmmaking), in a style that emphasizes the well-told anecdote over the telling detail, so that lots of time is spent on the spectacular physical problems of making a film about the building of a pyramid on location in Egypt, most of which seem to have fallen on the shoulders of Howard and the film’s production designer, Alexandre Trauner. Another reason for my initial disappointment is a limitation inherent in the genre: not only are such accounts usually a little boring – few things are less interesting than the making of a film – but they are also never very revealing. Certainly Howard has interesting things to tell us: We learn that he and Trauner excavated and dressed the foundations of an actual unfinished pyramid near Zaouiet al Atryanm and that for the pan encompassing a huge quarry filled with thousands of extras, they stitched two shots together by sticking a plastic boulder in front of the camera to conceal the cut, thus magnifying the number of extras as Hawks had magnified with a similar hidden cut the number of cattle in the long pan that prefaces the start of the cattle drive in Red River. To know what Hawks was trying to do in Land of the Pharaohs, we need to hear him conversing at his leisure with Rivette, Truffaut and Jacques Becker in an interview done for Cahiers du cinema at the time of the film’s release (reprinted in Howard Hawks: Interviews, U. of Mississippi Press), where he talks about his intentions and the problems he encountered in realizing them. 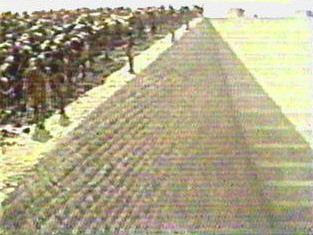 Conceived to take advantage of the recently perfected Cinemascope process (Hawks’ only experiment with the format, which he never liked), Land of the Pharaohs began as a film about the construction of an aerodrome in China during World War II, which turned out to be unfeasible for political reasons. He gives considerable credit to William Faulkner, one of the film’s three screenwriters, for his part in the elaboration of the story. He also pays tribute to Trauner, and says essentially the same thing as Howard about the question of historical authenticity: A great deal of research was done, but it was not allowed to stand in the way of the filmmakers’ imaginations. ("We’re not making a documentary," Hawks gently reminds Howard at one point, when the latter proposes an interesting solution to the problem of illuminating the stonecutters’ tunnels during the quarry scene.) "I very much like this kind of work," he says in the Cahiers interview. "Enterprises like building an aerodrome or a pyramid show man's power, what it's possible to do with stone, sand and one's hands." The first point, so obvious that I hesitate to mention it, is that Land of the Pharaohs is a film about the making of a film. As such it would not necessarily have any special claim on our attention – all of Hawks’ studies of mostly-male professional groups in action can be seen as metaphors for the daily life of a film crew. But in Land of the Pharaohs for the first time the activities of Hawks’ heroes directly mirror what used to be called "the process of production" of the film itself. With respect to the dramatis personae, first of all: In this film about the building of a pyramid, the three main heroes are Khu-fu, the Pharaoh (Jack Hawkins), who orders and oversees the building of his own tomb (Hawks the powerful producer-director); Vastar, the foreign architect who builds it for him (Trauner, the French production designer, charged with the construction of the pyramid for the film); and the high priest Hamar, the Pharaoh’s indispensable right hand (Noel Howard himself, whose own right hand we see in the film’s second shot, tracing in hieroglyphics an account of the Pharaoh’s deeds: the previous shot has shown the hand to be that of Hamar). Second of all with respect to the story: "We based our script on a single idea: the building of a pyramid," Hawks told the Cahiers, and more than for any other Hawks film, it was through the activities of Trauner, Howard and their associates that the director’s vision expressed itself in Land of the Pharaohs. Trauner actually designed the sets before he ever saw a page of script, commenting to Howard when he showed him the plans, "With all this, they can write what they like. We’re ready." As for the script that eventually did get written, all its main points grew out of the construction of the pyramid, the design for housing the Pharaoh’s treasure, and the device used to seal the pyramid once the body and the treasure are inside – it was not until Hawks and Trauner hit on a way of accomplishing this last task, after most of the scenes of the pyramid’s construction had been filmed, that Harry Kurnitz was able to write the final act. (According to what Kurnitz told Howard, Faulkner only wrote one line of the script, part of a scene where the Pharaoh, after work has been going on for several years, pays a visit to his chief architect – PHARAOH: "So…how is the job getting along?" Considering the source, I’m skeptical about this piece of information, but it is emblematic of the subordination of writing to architecture in the making of Land of the Pharaohs – a subordinate role that Kurnitz freely admitted: "He thinks in images," he told Howard when asked about Hawks’ contribution to script conferences. 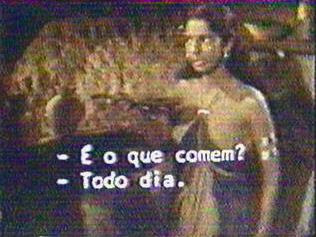 "I bet you no matter what I write, he already knows what he wants to shoot.") A whole drama of palace intrigue unfolds around the scenes of construction, but it is those scenes – the only ones Howard writes about in his book – that are the real film. The film is the pyramid, and it ends logically with the image of the pyramid’s completed form. If we concern ourselves is only with what I have called "the real film," Land of the Pharaohs is something very modern: What we see on the screen mirrors the process of production, which immediately generates what we see. For example, at the start of filming, Howard hits on the device of having a singer chant through a microphone to set the rhythm for the scene of the Pharaoh’s workers dragging blocks of stone from the quarry, but as the crowds grow bigger and more unruly, the singer is replaced with a drum and a cymbal. 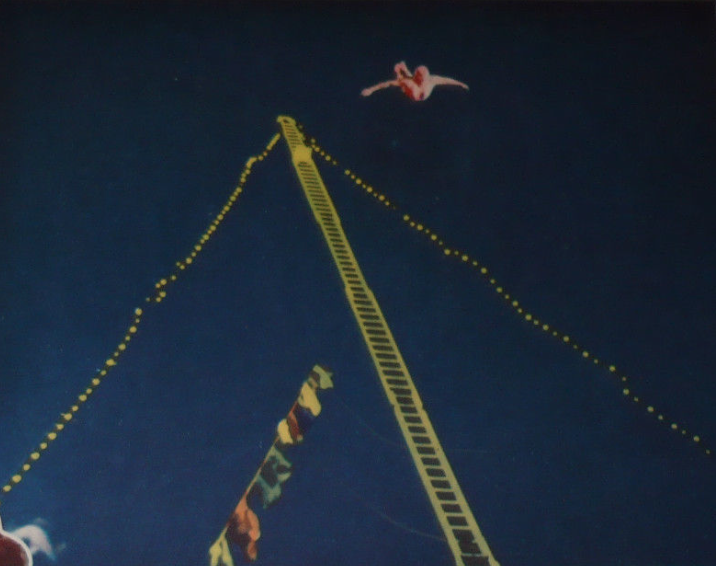 This shift becomes thematic in the film: At first the builders of the pyramid sing, rejoicing in their task, but as they grow bitter and rebellious they fall silent, and a drum is used to direct their movements. The Pharaoh’s goal is to build the biggest pyramid in history; Hawks’, according to Howard, is to film crowd scenes with more extras than had ever appeared in any film by De Mille – a quasi-obsession that finally provokes a mutiny by three members of the Egyptian Army who have been dragooned into playing slaves, which Hawks and his lieutenants have to beat back by physical force. Howard never underlines these parallels, but he is certainly aware of them. After the revolt was quelled, he tells us, he experienced "a mixture of frustration and guilt" at the part he had played in the episode. One evening in the hotel bar Faulkner makes a speech to Howard and Kurnitz about how a film company is "a state within the state," and the three men fall to imagining a coup d’etat to topple Nasser with an army of extras, flying flags emblazoned with hawks’ heads. A few days later Kurnitz comments to Howard that if Hitler’s father had given him a movie camera for his eighteenth birthday, World War II might never have happened. And in the film, when the inhabitants of Egypt hear Pharaoh’s challenge to build the pyramid, which fantastically takes the form of a voiceover proclamation that can be heard in every corner of the kingdom, like a voice on the radio, they respond with a version of the fascist salute. Like Ulmer in L’Atlantide and Tourneur in War Gods of the Deep, Hawks in Land of the Pharaohs hold up a mirror to his own creation. What the mirror shows him is the image of a tyrant – complex, all to human, courageous and even sympathetic, but a tyrant nonetheless – who rules over a universe of death. Two remarks before concluding: 1) Howard is not totally incurious about the effect of Hawks’ psychological quirks on the film. For example, he records only two story ideas proposed by the director during the production, and the first of these – "That our Pharaoh will have the greatest gold treasure ever assembled" – Howard portrays as being rooted in a personal obsession. (It is certainly not a given in stories about pyramids. Hawks builds his film around the Pharaoh’s fear of grave robbers and his stratagems for defeating them, but never even alludes to the most famous aspect of Egyptian burial practices: mummification.) "Hawks certainly had an eye for handsome women," Howard remarks later in the book, "but what he loved more than anything was wealth, riches, gold, money". He was always ill at ease when, during a casual conversation, someone would mention the very rich men on Earth: Paul Getty, Howard Hughes, etc." And he follows this surprising observation with an anecdote that is to say the least illuminating. I sat down silently, stopped a few steps above him and waited. Hawks didn't turn around. His head moved slowly from side to side like a camera panning on its tripod. He seemed to be in a trance. We stood there for quite a while, as I didn’t dare interrupt his deep contemplation. How many times had he gone down alone, switching on the lights to illuminate this "temple" where he came to worship his treasure? Suddenly a great noise broke the silence behind us: Clicking his sandals, singing a preposterous song with his booming voice, Sydney Chaplin was coming down the steps, dressed in his treasure guardian’s costume. Hawks spun around. His mouth open, he threw him such an outraged look that Syd stopped dead in his tracks. Hawks quickly regained his habitual poise. With a grand gesture, sweeping the décor, he said with deep conviction, "Sydney, look at all this…isn’t it…BEAUTIFUL?" Sydney gave the wondrous sight a quick glance. "Not bad," he said, walking up the steps. "You should see my old man’s cellars!" This anecdote also serves to point up the naked honesty of Hawks’ self-portrait in the character played by Jack Hawkins, who has a similar moment when he shows his young son the treasure room. After the boy’s mother has taken him away to eat is supper, the Pharaoh lingers to caress one of the ornaments, first wiping his hand on his tunic with a little convulsive movement – a gesture that Hawkins acts with the finesse of Fernando Rey revealing an unsuspected perversion in a film by Buñuel. thing going. Large stones sliding down galleries will break hundreds of potteries, releasing tons of sand, setting huge blocks of granite in motion, locking Joan Collins in forever next to the man she wanted to rob!" He shook our hands and went to see the writers. In the climactic scene Nellifer stands in the burial chamber next to the Pharaoh’s sarcophagus, and Hamar instructs her to pull the cord setting the infernal machine in motion, while 24 faithful monks whose tongues have been cut out – can a grimmer reduction be imagined of the "little Hawksian group"? – impassively watch her seal her fate. Was it just a typical piece of "Hawksian humor" (the only one in the film) to end his only tragedy with a scene from his most raucous comedy? I think the connection is a more meaningful one: Oscar Jaffe is Hawks’ first artist-hero and Khu-Fu the Pharaoh is his second. For that reason the economic and psychological reading of Land of the Pharaohs suggested by Howard’s account is not the only one possible. Hawks made Land of the Pharaohs to produce a blockbuster and thereby augment his personal fortune. But Land of the Pharaohs begins when the Pharaoh has already amassed the greatest treasure in history, just as Red River begins when Matt Dunson (John Wayne) has already built up the biggest herd of cattle ever owned by one man. Dunson needs a son to leave his empire to, and at one point he offers Tess Millay (Joanne Dru) half his fortune if she will bear one for him, before finally accepting Matthew Garth (Montgomery Clift) as his heir; the Pharaoh, returning from his last campaign with all his goals of plunder satisfied, demands the same of his wife, who gratifies him by producing the desired heir, but even that is not enough – he must be assured of possessing the treasure in his second life, and that is why he undertakes the building of the pyramid. Immortality – a subject that crops up more than once in Hawks’ films – is the concern of artists, and in the Pharaoh’s speech to his son he equates the gold he has amassed with power, another concern that artists share with tyrants. (At the end of the first day’s shooting, Howard tells us, Hawks pointed to the can of undeveloped negative that was to be shipped back to Warner Bros, and said, "It’s worth its weight in gold.") I think that Hawks, who always denied that he was an artist (that would have meant admitting his kinship with Oscar Jaffe), made Land of the Pharaohs for the most obvious of reasons: He was trying to create a masterpiece that would live forever. "The pyramid will keep his name alive," says Vastar to his son. "In that, he built better than he knew." I also happen to think that Hawks succeeded, but it is no secret that in the process he created the biggest flop of his career. Coming after a series of films that carried his form of classicism to its apogee (Red River, I Was a Male War Bride, The Big Sky, Monkey Business), but which Hawks himself, he told Peter Bogdanovich, considered failures, the disaster of Land of the Pharaohs was the last straw. There followed four years of reflection before he returned to filmmaking in 1959 with Rio Bravo. The profound transformation that occurred in his work at this point comes down to one decision: Get rid of the story (they’ve all been told countless times on television anyway) and make the film out of the interaction of the characters. Insofar as Land of the Pharaohs does have a complicated melodramatic plot - one of the most beautiful of any film epic – it represents the past, but what I have called "the real film," the self-reflecting narrative of the pyramid, already sets up a system that will culminate in Hatari! : a plotless film about a hunting season in Africa, in which Hawks filmed the actors actually capturing a series of wild animals and devised a story to fit as he went along. 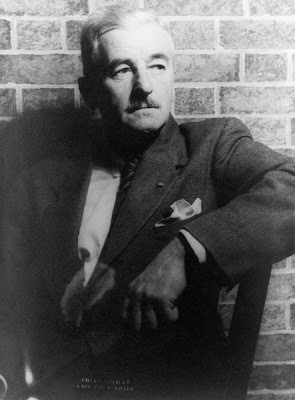 What we see, then, in Land of the Pharaohs is both the final form of a certain classicism – that was the business of Faulkner and his collaborators – and the birth of a certain modernism, one whose progeny extends from Jancsó to Straub, and that is the story that Noel Howard tells in his invaluable book. But Hollywood-sur-Nil would not be the document it is were it not also a personal narrative, one which at its best often concerns Noel Howard himself – his reaction to his friend Robert Capa’s death in Indochina, or his many reactions to the landscape of the real Egypt surrounding this tale of tombs and palace intrigue: the terrible poverty of the inhabitants, which continually preys on his mind; a moonlit ride on the Nile with a drunken boatman; the spectacle of a burial chamber suddenly illuminated by hundreds of ancient lamps; or the unexpected discovery, which Howard was the first westerner to share, of a solar boat buried in the wall of Kheops’ pyramid. Howard wanted to make a documentary about that boat, and Hawks supported him in his project. Warner Bros., however, preferred to have a documentary about a newly discovered tomb that promised to be "as big as King Tut," so they dropped the boat project and went to film the ceremony of the unsealing, in the presence of Nasser and the American ambassador. The tomb, of course, was empty. Orignally published in the now defunct Los Angeles 'newspaper on film' Modern Times (Issue no. 4; April, 1990). More recently published in French as 'Hawks à l'ouvrage: La genèse de LAND OF THE PHARAOHS" in TRAFIC No. 63, Automne 2007. - "Is this what you've been eating?" Thanks for posting this article. "Land of the Pharaohs" is a personal favourite.